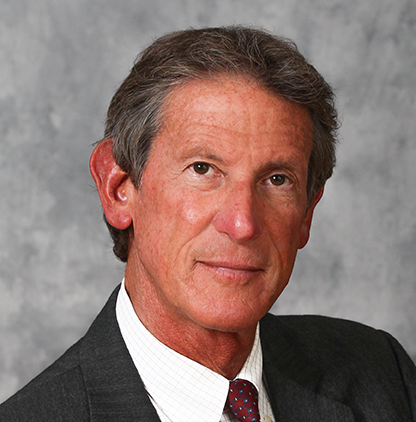 Jerry Friedman, Esq. has been serving the legal needs of the motorcycle community since 1977. A 1975 Graduate of Rutgers Law School, Jerry's law practice concentrates on personal injury matters, with a particular emphasis on motorcycle accidents. His experience in handling the unique problems associated with motorcycle accidents provides his clients with an advantage not offered by other law firms. This has resulted in an ongoing record of success in achieving monetary awards for injured motorcyclists. Admitted to Bar: N.J. & P.A. The Law Office of Jerry Friedman, P.C. provides free legal services to many of the area's riding clubs and offers free telephone consultations to their members on the 1-800-LAW-4-HOGS toll free hotline. Jerry is a member of ABATE, as well as the Centurions and area HOG Clubs. He provides financial sponsorship of riding club events and can be seen regularly at them on his 1987 Heritage Softail Custom. Jerry has been riding and successfully representing Motorcyclists for over 35 years. Jerry's involvement with motorcyclists has resulted in Jerry being called on by area newspaper reporters for comment on events affecting the motorcycle community. Feature articles about Jerry and his unique practice usually include a reference to the now-famous 1-800-LAW-4-HOGS billboard. Being a motorcycle rider, Jerry Friedman takes an aggressive, but personalized approach to the handling of his client’s personal injury claims. Clients are continually updated on the progress of their case and regularly provided with copies of all correspondence and documents relative to their file. All telephone calls from clients are promptly returned. You hire us to work for you, not the other way around. The law firm also handles other types of personal injury matters including automobile accidents and slip and falls, as well as injuries from defective products and wrongful death claims brought by surviving family members. All personal injury cases are handled on a contingent fee basis. This means no hourly fees, no up-front costs, and the firm only gets paid when the client collects. Jerry is always happy to provide an answer without charge to callers questions about other legal matters and, if appropriate, refer you to another attorney or firm that specializes in that field of law. The Law Firm of Jerry Friedman, P.C. is well prepared to effectively and aggressively handle the personal injury claims of injured motorcyclists with a unique ability to relate to the motorcycle community.